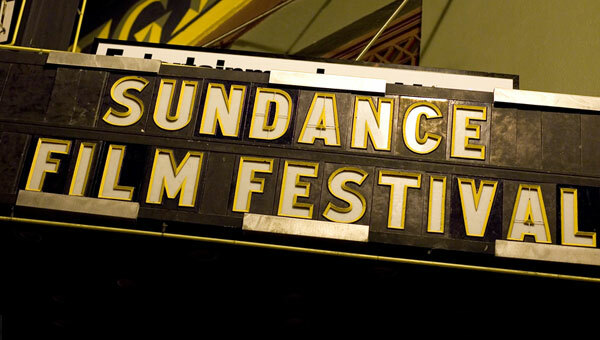 The first thing you need to know about Sundance is that it’s cheaper than you think. If you are like me then you imagined the event being all exclusive and haughty. On the contrary, the festival is low cost, lodging is plentiful, and the flights and car rentals are among the cheapest in America. The only thing you will end up paying for is the skiing, but you get what you give. The slopes around Park City, Utah are top notch. As a former Winter Olympics site Park City has everything you will need. The Festival runs over two weekends with a slower tempo during the week, from January 20th-30th. Opening weekend is when the stars come out and the crowds reach their peak. By closing weekend the crowds have left and there is still a full range of events. Most people tend to favor one weekend over the other. While we have friends who favor the celebrity, “seen and be seen” vibe of opening weekend, we prefer the “down to the movies” vibe of closing weekend. This is especially exciting for those of you movie buffs. Each screening has on hand an ensemble of cast members and crew, though it is most often the director and/or producer in attendance. After the movie “screening” is over they offer you a personal in-depth behind the scenes followed by a Q/A session. Considering the movie list this can range from topics about LGBT to terrorism to Rock n Roll and more. To me it represents an experience like no other and has forever turned me on the to idea of a movie festival. Tickets to each show are $15. You can pre-buy or purchase the day-of. This part is probably the most confusing since it’s cold and your in a strange new town and the thought of waking up early to get a ticket is strange. Yet, that is what everybody does and it works this way because of the nature of the festival. All year Sundance accepts movies then in mid-December releases the one’s they will be showing at the festival. At this point they are still unknown, never-before-seen, pre-critic, and so on. This means that everyone has a blast guessing which ones will win Oscar nods and which ones will sit on a dusty shelf for a 1,000 years. These guesses quickly culminate into a few sold out shows weeks before the festival and before anyone has seen the actual movie. These mostly gather around well known actor/director combos. As the festival draws nearer more clips are released, press segments done, and even a few pirated releases. Eventually culminating in the Festival where everyone, including the insiders and well-informed, are still unsure of the best movies. All are stuck buying tickets the day-of. At first I found this the most confusing but after attending the festival I found it enjoyable to get caught up in the mystery. The thing is that all the films are personally selected to be amazing (something like 200 out of several thousand) so it’s hard to go wrong. Plus, each movie will be playing several times at several locations. Park City has movie theaters and screening locations all over (like the Library) so you won’t miss anything. I say give up on planning and just have some fun playing critic! Finding a place to stay is the most challenging part of the trip. It’s not because places are hard to find but because there are so many options. Stay downtown and rely on the free public transportation. Choose a lodge next to a ski resort and get the benefit of easy skiing. Pick a spot outside of town next to the Whole Foods and get around by rental car. I favor the rental car option because it makes getting from the Salt Lake City airport to Park City easy. The cost of a shuttle is about $40 and the trip is about 40 minutes. Whereas the rental car is $40/day and split amongst 3-4 people it makes for some nice, warm rides to/from everything. The Sundance.org website offers many deals too but they all boil down to the three options presented above. 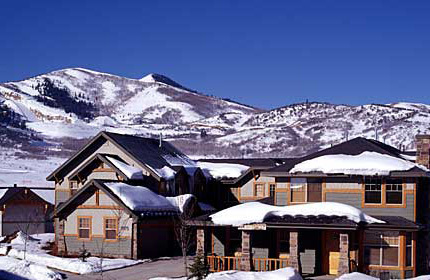 Closest to downtown is most expensive, ski resorts high to medium, and our just outside of town medium to low pricing. But, did I mention the last option is very close to a Whole Foods, can you tell I obsess about food.. The only place to fly into (unless you’re loaded) is Salt Lake City airport (SLC). Flight are reasonably priced since Salt Lake is a western hub for most airlines. The drive is about 40 minutes through snow filled mountains (possibly a favorite part of the trip). Getting around Park City is relatively easy. They have free shuttles running everywhere. The only hiccups are when rain/snow get involved which makes waiting outdoors for a ride a slushy cold event. Parking a rental car can sometimes be a pain. There are limited spaces available and they do try to discourage everyone from driving. Still I never have any problems and usually find it more convenient (as long as I carpool!). Especially, considering that the theaters are not in one place and well, it’s cold out. Other than the movies there are salons and parties. Downtown there are talks with experts and the like. On opening weekend is an opening party and closing weekend has the awards show and the closing party. All are fun but ticketed events (sometimes hard to find). If you’re interested in these events it is best to purchase a ticket package that includes these events. Well, that is pretty much it. The only other recommendation I have is to try and visit the actual Sundance Resort. It’s about 30 mins away from downtown and exists as a ski lodge and artist retreat. It was rescued by Robert Redford decades ago and serves as the home and inspiration for the festival. The scenery is beautiful and the creative vibe is awesome! Next Next post: Who are the best in DC Tech?